When you employ Kim to sell your home, her office will be on the job seven days a week. You can feel free to go about your normal pursuits, secure in the knowledge that Kim and her team are taking care of the business of selling your home. When you buy a house with Kim, you have her team working for you. If you need to see a house we can accommodate you. Kim is a full time agent and works 7 days a week and her team of experts can help guide you thru the process. With our Platinum Buy/Sell Program, you’ll put more money in your pocket at closing. If you use Kim to purchase your new home, she’ll list your current home at her special platinum rate 1% COMMISSION . Call Kim to see how much you can save!! That means you’ll have extra funds to spend on your new home. There’s no question your home is one of the biggest investments of your life. So at every facet of buying or selling your home, you will have Kim and her real estate team by your side. 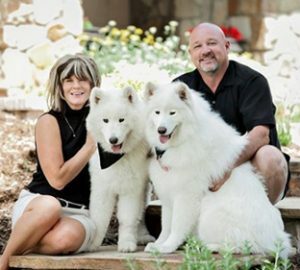 Kim’s marketing skills have led her to be one of the top brokers in Denver. She thrives on finding the PERFECT home or buyer for her clients. Kim Pitaniello specializes in first time home buyers, relocation, move up buyers and empty nesters looking to downsize. She also specializes in HUD homes, bank-owned properties and the Douglas County luxury market. Having relocated across the country twice, Kim understands the challenges of relocating! Kim has the experience and expertise to help you all along the process of finding your new home, the perfect school and even a vet. Kim has been a proud member of RE/MAX Alliance since 2004. We enjoyed working with Kim Pitaniello to purchase our first home. She made the process smooth and easy to understand. She was personable, attentive, and fought hard for us. We were able to get a house with everything we wanted, for the right price! I have had the pleasure of working with Kim on a professional and personal level. She is proactive, straight forward and responsive. Besides being a great agent, Kim is knowledgeable, resourceful and someone you can trust. We could always depend on Kim to give us accurate market information to list our homes and sell them at the highest price possible. There are many potential complexities in selling properties and I can’t imagine more highly recommending anyone else to help you anywhere along the way than Kim. We had a wonderful experience with Kim Pitaniello. We were referred to her from a friend and were very pleased! Kim was extremely timely in her responses and was flexible with our busy work schedules. She was incredibly timely in getting showings set up and very thoughtful about our needs. Thanks to Kim we successfully purchased our first home as a family! We will definitely be back to Kim for our future needs! Kim is amazing! From our first meeting, we knew she was the Realtor we needed! After a thorough walk through of our home, she outlined her strategy to include marketing targets, pricing, staging etc. Her advice and direction was priceless. The photographs were gorgeous and communication was outstanding. Our home was under contract in no time! Kim cares about your family and works very hard for YOU! We couldn’t be happier with her work ethic and results!! We would HIGHLY recommend Kim Pitaniello! !